A collection of my idiosyncratic thoughts & film reviews. Kevin Costner is back, and back again recently. 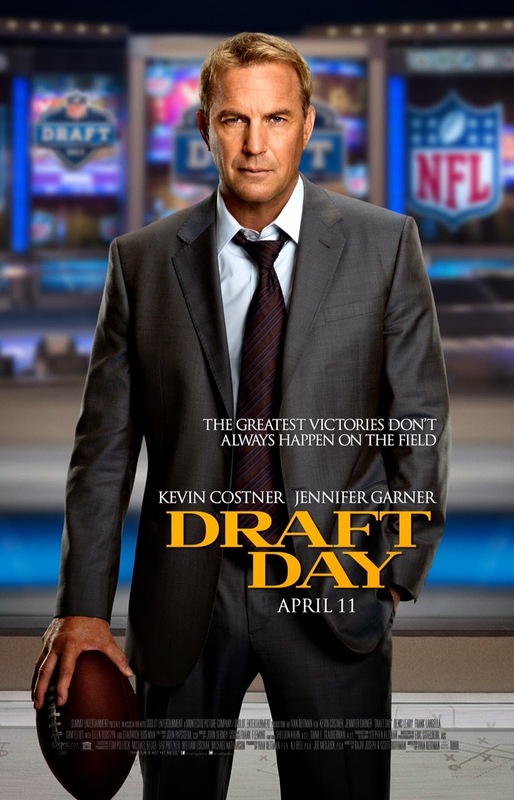 Here's your chance (OK, a second chance or maybe a third - I've lost count) to grab some tickets to a free preview screening of Draft Day on 3/10. Grab your passes by clicking over to this link here (if you're asked for a code it's: XR482D). Just be sure to get to the screening early as they're overbooked to ensure a good crowd. Get more details on the film's official site or of course on IMDb.com. I'm not a big football fan but I really liked this movie. Everyone doubted Sonny's decisions throughout the entire movie but he had some surprises in store for them! It was well acted and gave an interesting insight into the draft and football.